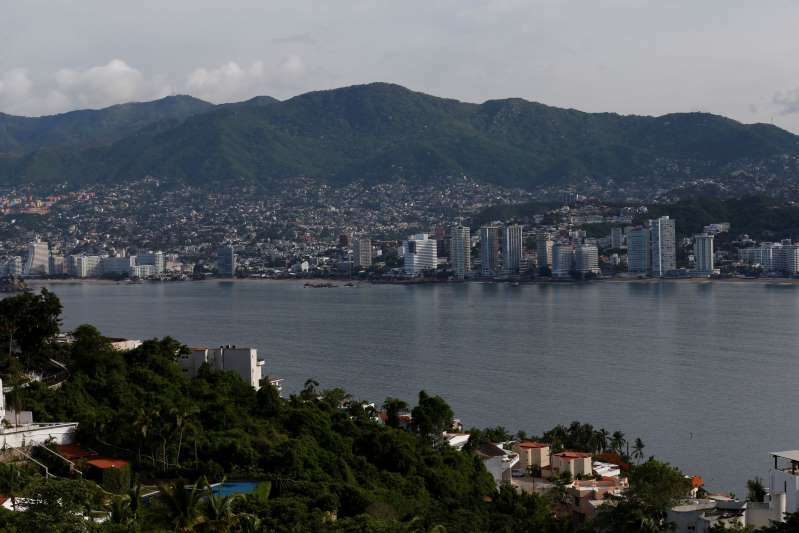 This June 20, 2018 photo, shows a view of Acapulco, Mexico. 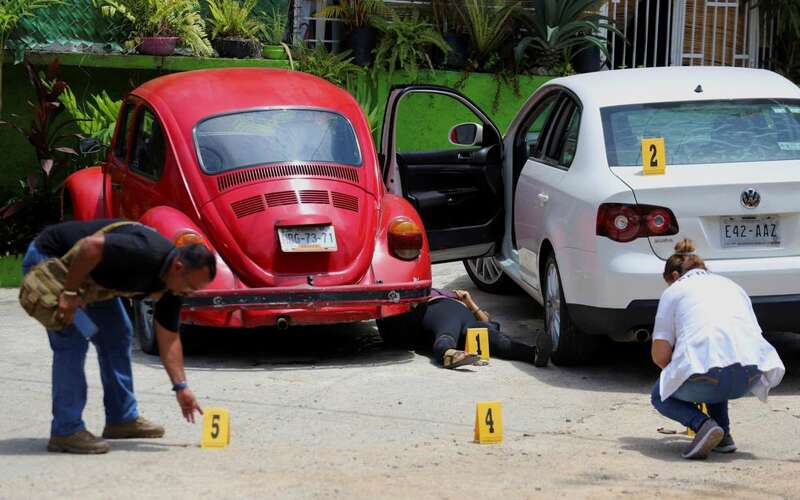 Last year, authorities opened investigations into 834 murders in Acapulco. Acapulco is in the same state where 43 students from a teacher's college disappeared in 2014 in a still unsolved case that implicates local officials, police and possibly the military. [post_ads]Data from the statistics institute is seen as more thorough, since INEGI visits morgues and public registries to collect information. The Interior Ministry counts homicide investigations that could involve multiple victims, thus potentially underrepresenting killings. Honduras and El Salvador — among the deadliest countries in the world — have homicide rates of around 60 per 100,000. Some U.S. cities, like Chicago, Detroit and New Orleans, also top Mexico's per-capita homicide rate. Mexico's deadliest state is Colima, on the Pacific coast, where killings rose 38 percent last year to a homicide rate of 113 per 100,000. The rate in Baja California, home to the border city Tijuana, nearly doubled as the Jalisco New Generation and Sinaloa cartels clashed over drug trafficking routes. "The country is in a public security crisis," said Alejandro Schtulmann, president of Mexico City-based political risk firm EMPRA. "The problem now is not just the murder rate," said Schtulmann. "More citizens are being affected by crime than ever before in Mexican history." Schtulmann pointed to a recent wave of property crimes, unprecedented killings of politicians in this year's elections and attempts to extort businesses in fancy neighborhoods like Polanco in the Mexican capital as indications that criminal activity is encroaching on more territory and affecting more segments of the population. Schtulmann finds Lopez Obrador's plans a bit vague, saying Mexico more than anything needs to improve state security forces since thinly stretched federal resources often can't reach all the trouble spots. "We are talking about long-term efforts. This is not going to go away from one day to another," Schtulmann said. "If the opportunity is there, and the impunity is there, the criminals will keep committing crimes."